The Bible talks of ‘the four corners of the earth.’ Does this mean the days of creation could be non-literal, too? Sometimes, one can only shake one’s head and sigh about the many great Christian scholars and theologians who are so ‘spot on’ in regard to their approach to the Bible—but only from Genesis 12 onwards! We have great respect for Dr Moreland. He is a brilliant scholar, an excellent writer and speaker, and a devout follower of Jesus Christ. He justly deserves the appreciation of the church for his many labors. We have no doubts about his sincerity and integrity, and we have learned much from his writings. But on the subject of the age of the earth, he does not display, in our opinion, the careful reflection that is so characteristic of his writings generally. It grieves us to have to disagree with Dr Moreland. But we are compelled to write out of our love for the truth of Scripture and for the church, which is being negatively influenced by his remarks. A recent article4 on the ‘Reasons to Believe’5 website publishes (with his approval) Dr Moreland’s remarks on the age of the earth, which he made orally before a church in Washington State, USA, in February 2002. Dr Moreland attempts to justify allowing the days of creation to be long periods of time. Sadly, his comments are typical within Christian circles today. Our purpose in focusing on Dr Moreland is purely to show the way in which even otherwise great Christians (we all have feet of clay) use faulty reasoning to justify their rejection of the six literal days of creation only a few thousand years ago. To his credit, Dr Moreland states regarding the days of Genesis that ‘we ought not allow science to dictate to us our exegesis of the Old Testament.’6 But then he does exactly that—and he doesn’t see it! Consider carefully his reasoning as he seeks to justify acceptance of millions of years and thus rejection of literal creation days. 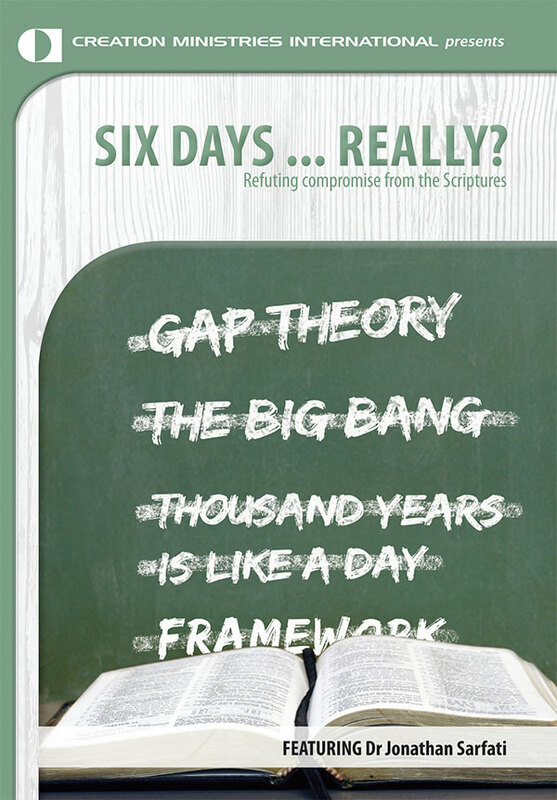 CMI makes such claims because the major reason most Christian scholars do not accept six literal days is that they start from outside of Scripture, accepting an old earth (which they claim is based on ‘science’), and thus proceed to ‘reinterpret’ the clear meaning of the word ‘day.’ This is not exegesis, but using man’s fallible ideas (the supposed millions of years) to impose a meaning upon the text. Applying the same principles, one should also reinterpret the Resurrection and Virgin Birth, since all observational (operational) science indicates that people do not rise from the dead, nor do virgins conceive. There are several problems with Dr Moreland’s line of reasoning about the shape of the earth. First, the phrase, ‘four corners of the earth,’ only appears in the New Testament in Revelation 7:1 and 20:87 in descriptive statements by the Apostle John. Jesus speaks only of the ‘four winds of the earth’ (Matthew 24:31 and Mark 13:27), as does John in Revelation 7:1.8 These are all the New Testament occurrences of these phrases. In the Old Testament ‘four corners of the earth’ appears only in Isaiah 11:12. The same Hebrew words appear in Ezekiel 7:2 but are correctly translated as ‘four corners of the land’ in the KJV, NKJV, NAS and NIV since the preceding words in the verse show that eretz (the Hebrew word that can be translated either as ‘earth’ or ‘land,’ depending on context) is referring to the land of Israel, not the whole planet as in Isaiah 11:12. Third, given the biblical allusions to the earth’s sphericity in Job 26:10; Proverbs 8:27; Ecclesiastes 1:6; Psalm 19:6 and Isaiah 40:22 and the fact that the ancients long before the time of Christ had figured out that the earth is a sphere,10 there is no reason to imagine that Christ or his disciples actually thought the earth was flat and that the wind only blew in one of four directions. Thus, contrary to what Dr Moreland has stated, the term ‘corners’ is easily understood by good exegesis, without using scientific evidence external to Scripture. The Bible’s phenomenological statement that the sun ‘rises’ is consistent with either a geocentric or heliocentric view of the solar system. Scientific evidence has enabled us to distinguish which of these two is actually a correct understanding of the solar system, but it has not in the slightest changed our understanding of the meaning of the actual words of the Bible. For there to be a true parallel (as claimed by Dr Moreland and others) with the issue of the creation days, one would have to show that the use of the word ‘day’ in Genesis is intrinsically consistent with either a long age or an ordinary day. But this begs the question that Dr Moreland is addressing in the first place! In other words, Dr Moreland is arguing for permission to interpret ‘day’ as an ‘age’ by using an argument which would only be sound if such permission were already there in the text! The argument is inevitably trapped in a vicious circle of its own making. In any case, young-earth creationists have demonstrated repeatedly over the last 200 years that the Genesis text simply does not permit the ‘long-age’ option, whereas the ‘sun rising’ texts do not clearly teach geocentricity and therefore permit a heliocentric option. Furthermore, these statements about the sun and moon moving are very incidental and brief statements. We have very little in the text to go on to know how to interpret these phrases or sentences, and most of the references are in the poetic literature, where we should be on the alert for non-literal language. Finally, as with the phrases like ‘corners of the earth,’ we do not find an explicit statement in the Bible such as ‘the earth does not move and the sun and stars go around the earth,’ which could easily have been said in just such simple language. Contrast these brief statements with the lengthy accounts of creation and the Flood in Genesis. 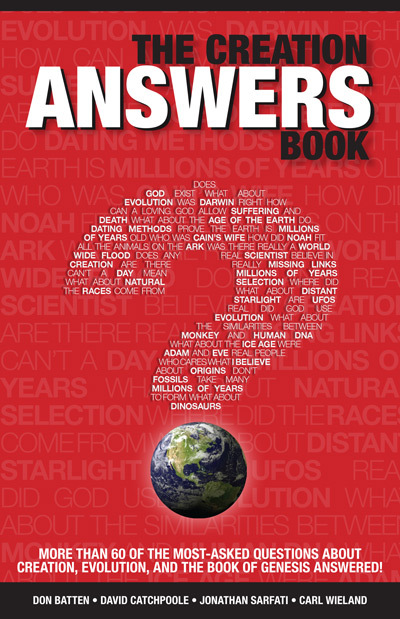 Here we have whole chapters which in various ways emphasize that God made the initial creation complete in six literal days (about 6,000 years ago, as the genealogies in Genesis 5 and 11 indicate) and that He judged the world with a global catastrophic Flood at the time of Noah. The only way to deny this is to not pay careful attention to the text of Genesis 1–11 and to ignore the passages in the rest of the Bible that show that Jesus and the biblical writers took these chapters as literal history. Jesus clearly shows Himself to be a young-earth creationist in Mark 10:6, Luke 11:50–51 and elsewhere. In these passages he states that Adam and Eve and their son Abel were at the beginning of creation, not billions of years after the beginning (as would be the case if the earth is truly billions of years old). There simply is no real comparison between the brief and less than clear verses about the movement of the sun and the lengthy and clear passages about creation and the Flood. Young-earth creationists do not endorse ‘the general argument’ that ‘from adopting a certain view of one text, there’s no way to block the slide to doing that to other texts’. Given his expertise in philosophy, it is surprising to see Dr Moreland using a straw-man argument, attacking a position that misrepresents what we believe. What we say is that Genesis 1–11 has plenty of evidence that it is historical narrative, even though it describes unusual and miraculous events, just as Matthew 1–2 and 26–28 are historical narrative passages describing unusual and miraculous events. There is a very clear parallel between these passages. It is therefore exegetically inconsistent to interpret the latter passages as literal straightforward history but not the former as such. Furthermore, historically speaking, in the church the rejection of the literal truth of Genesis preceded (and hermeneutically laid the groundwork for) the rejection of the literal truth of the Virgin Birth and Resurrection of Christ. Christians abandoned belief in Genesis 1–11 before they abandoned belief in the Gospels. So young-earth creationists are not the ones guilty of a hasty generalization, but rather Dr Moreland is. Young-earth creationists do not take, and never have taken, every word or verse in the Bible literally, contrary to what many of our critics charge. We have always recognized that there are idioms, parables and other figurative, symbolic phrases or sections of Scripture. What we have contended is that Genesis 1–11 is not one of those sections. It is sober, true and inerrant history. Scientific evidence did not lead the church to reject the idea of a flat earth, for the simple fact that, as already mentioned, it never believed this. Scientific evidence at the time of Galileo and later did cause people to re-examine the Scriptures. And they concluded that the relevant texts did not explicitly teach that the sun literally goes around a stationary earth, but only appeared to do so as seen from earth. So the Bible could be legitimately interpreted in such a way as to harmonize it with the Copernican theory (and the later revised version16), without doing violence to the text. In contrast, despite the best and most ingenious efforts of Christian scholars over the past 200 years, Christians have not been able to show how Genesis can be reinterpreted to make it harmonize with the evolutionary idea of millions of years. The gap theory, day-age theory, day-gap-day theory, framework hypothesis and many other lesser-known reinterpretations of Genesis have all failed when examined carefully with an open Bible.17 One of the biggest problems that all these interpretations face, but generally ignore, is the contradiction between the Bible’s teaching that death came after the Fall and the evolutionists’ claim that death, violence, disease and extinction preceded the appearance of man on the earth by millions of years. Contrary to what Dr Moreland says, the devil is not in the details, he is in the superficial analyses of the Word of God. The Lord is in the details, because every word of Scripture is inspired by God. But what about those godly scholars who are not young-earth creationists? More about this follows. Dr Moreland is doing precisely what he says we ought not to do—allowing science to dictate to us our exegesis of the Old Testament. But the question is not whether an interpretation is exegetically permissible in the opinion of some conservative, inerrantist, evangelical OT scholar, but whether it is exegetically probable and defensible. Furthermore, truth is not determined by majority vote, as Dr Moreland knows. The fact that most contemporary conservative evangelical OT scholars are not young-earth creationists means nothing. They are a minority in church history.18 More important is the fact that these contemporary conservative scholars, who are justly respected for their many helpful contributions to the church, do not hold to their old-earth views because of exegetical considerations but because they have surrendered the authority of Scripture to what they have been led to believe is solid science on this point. Many quotes could be given to support this claim, but we will cite just a few, first by Dr James Boice and then by Dr Meredith Kline, both respected Bible scholars. Another distinguished scholar, Dr Wayne Grudem, is more guarded in his statements and certainly feels the force of the exegetical arguments for the young-earth view. But he clearly indicates that it is the ‘apparently overwhelming’ scientific evidence for millions of years that is the deciding factor in his not accepting the young-earth view.21 Many other examples could be cited. Dr Moreland says that an old-earth interpretation ‘is a permissible option if it harmonizes the text with science because that option can be justified exegetically, independent of science.’ No such old-earth interpretation exists. They all ignore at least some of the details in Genesis 1 and Exodus 20:8–11 that show overwhelmingly that these were literal days of creation. They all ignore (or treat shallowly) the theological problem of millions of years of death before the Fall and (knowingly or unconsciously) reduce the Curse in Genesis 3 to nothing more than a spiritual consequence affecting man alone. These old-earth views all ignore the clear testimony of Jesus that He was a young-earth creationist, as already noted. Furthermore, most old-earth proponents deny that Noah’s Flood was global and catastrophic. If they do believe that, they fail to realize that it had to have left a massive amount of evidence worldwide (which is exactly what we see in the geological/fossil record). But evolutionary geologists deny that the global Flood ever occurred and instead attribute those same fossils and rock layers to processes happening over millions of years. In other words, in spite of their godly sincerity, they fail to realize that it is logically impossible to believe in both a global, catastrophic Noachian Flood and millions of years. The geological evidence for one view means that there is no geological evidence for the other view. They are mutually exclusive. The Flood is crucial to the matter of the age of the earth, but it is ignored or rejected by old-earth proponents. None of these old-earth reinterpretations are ‘justified exegetically, independent of science’ but rather are classic examples of eisegesis (reading into the text what we want it to say), whereby evolutionary, millions-of-years hypotheses and assumptions (not ‘science’) are used to make the text say what it simply does not say. The sixth day too short? Dr Kaiser holds the day-age interpretation of Genesis 1 because he thinks too much happened on the sixth day to fit into 24 hours.24 Presumably, he would defend this view in a way similar to Dr Archer, his former colleague at Trinity Evangelical Divinity School.25 Though not explicitly stated, it is most certain that what is really driving Dr Kaiser’s interpretation is the same thing influencing Drs Archer, Grudem, Kline, Boice, etc. : the supposed scientific proof of millions of years. Dr Kaiser does not explain why the events of the sixth day couldn’t happen in 24 hours, so let us briefly consider Dr Archer’s arguments. They have nothing to do with Hebrew (or any of the neighboring languages he knows), and in fact his arguments do not even pay careful attention to the biblical text. Let us first list all the events of the sixth day, according to Genesis 1–2. God created every kind of land animal and creeping thing. God created the Garden of Eden. God commanded Adam to care for it. Adam named some land animals and birds. God realized that Adam was alone. God put Adam to sleep. Adam met Eve and said a short romantic poem. Now, how long did the above nine events take? The Bible gives us no specific amount of time for any of them. But clearly, events 4, 6, and 9 took less than a minute total. However, there is no biblical or theological reason to think any of the others took very long either. God’s creative acts were miraculous and therefore, as with all the other miracles in the Bible, we should assume they were instantaneous. We should add here that, contrary to what both Drs Archer and Kaiser say, the Bible does not say that Adam grew lonely or felt that he needed a companion. The Bible says that God saw that Adam was alone (which took no time at all for God to see) and so made a helper for him. This highlights the fact that correct interpretation is based on careful observation of what the Bible actually says, not on imagining what it says. Sadly, Dr Archer fails to observe the text carefully at many points in Genesis 1-2, or he reads into the text what is not there. What about Adam’s activities? Dr Archer says that Eden was a ‘large park area,’ the care of which would have been ‘arduous’ and would have gone on ‘for a fairly extended period of time.’26 But there is no basis in the text for this statement. The Bible does not tell us how large the garden was or even that it was ‘large.’ It does not tell us how long Adam cared for the garden (or how hard he worked) before he started naming animals or even that it was ‘a long time.’ Dr Archer only imagines these things. But this is not careful Bible study. From the text there is no basis for thinking that any more than a few moments at most elapsed between God’s command to care for the garden (2:16–17) and God’s assignment for Adam to name animals and birds (vv. 18–20). When one of the authors was a teenager, his dentist put him to sleep in less than 10 seconds and removed his four wisdom teeth in less than 20 minutes! What is Dr Archer thinking about here? Again, please note that Dr Archer’s (and Dr Kaiser’s) arguments for the day-age theory have nothing to do with Hebrew or any other ancient language. It is sad indeed to see the apparent lack of careful attention to even the English Bible that the gifted scholar Dr Moreland displays in his respect for these shallow old-earth interpretations of Drs Archer and Kaiser. Here is the bottom line. Dr Moreland sees the majority of modern evangelical OT scholars as the final authority. He refers to Archer and Kaiser ‘two of the best-known exegetes of the Old Testament in the American evangelical community’ (which they are), who both believe the Genesis days to be ‘vast, unspecified periods of time.’ They say so. Therefore it must be true. End of discussion. Really? Dr Moreland’s reliance on human authority is not unique. The Bible itself is not the final authority for most Christians today. Too many Christians are failing to carefully examine the old-earth arguments with an open Bible and to consider the careful analyses of their arguments by young-earth scholars. All scholars are only generally trustworthy at best. None alone or together are beyond question. We all have feet of clay, ourselves included. Whether scholar or uneducated laborer, we must all be like the Berean Jews, whom Luke commended as an example for us because they examined the Scriptures carefully to see if the teachings of Paul were biblical (Acts 17:11). Furthermore, neither we nor any other young-earth creationist we know is accusing old-earth scholars of evil motives. People can be sincerely wrong. There are godly evangelical scholars on both sides of the debates about the roles of men and women, spiritual gifts, church government, Calvinism vs Arminianism, the Millennium and Tribulation, etc., etc. In every case, some godly, scholarly people must be wrong in their views and others must be right. We cannot escape this unpleasant conclusion that godly scholars, even the majority at a particular time in history, can be wrong on an important point of biblical teaching. So let us press on to know the Word of God, submitting to its supreme authority in every area of our thinking, speaking and behavior. Genesis 1–11 is not written using metaphorical nor phenomenological language. It is written as historical narrative, and, as such, each word should be examined carefully in context, according to the rules of Hebrew grammar. The arrived-at interpretation should then be cross-checked against other relevant Scriptural passages. When one does this, it is inescapably clear that the creation days were literal, occurred only a few thousand years ago and were followed by a global geologically catastrophic Flood. Far from applying careful exegesis, Dr Moreland is trying to justify the rejection of six ordinary days of creation for one simple reason; because the majority of the scientists of this age (along with the majority of Bible scholars, who follow the scientific majority) believe the earth is billions of years old. No, creationists aren’t cornered. But godly scholars like Drs Archer, Kaiser and Moreland need to turn a ‘corner’ and stand on God’s infallible Word instead of man’s fallible opinions and theories. We at CMI exhort our fellow Christians, as we exhort ourselves, to not ‘bow’ before the words of men but to humbly tremble at the Word of God in all that it teaches us, especially that portion which has been under severe attack by godless men for over two centuries: Genesis 1–11. For example, Christianity and the Nature of Science, Scaling the Secular City, Does God Exist?, Immortality: The Other Side of Death, The Life and Death Debate: Moral Issues of Our Times, Love God with all Your Mind, Body and Soul (with Scott Rae), and is co-editor (with William Lane Craig) of Christian Perspectives on Being Human and Naturalism: A Critical Analysis. Return to text. For example, Christianity Today, Journal of the Evangelical Theological Society, Philosophy and Phenomenological Research and The American Philosophical Quarterly. Return to text. J.P. Moreland, Love your God with all your mind, Colorado Springs, Colorado, NavPress, 1997, p. 245. Return to text. 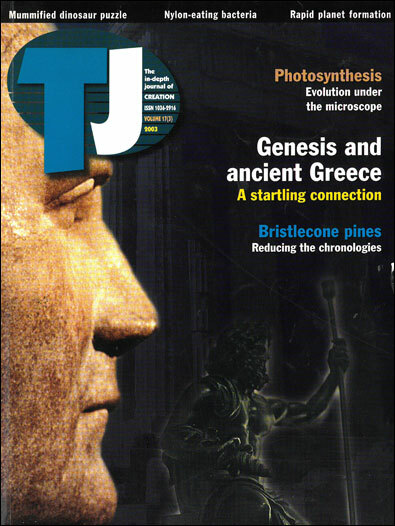 Moreland, J.P., ‘The Age of Earth,’ based upon a lecture at Northshore Everett, Washington, on 2 February, 2002, reasons.org/resources/apologetics/moreland_jp_age_of_earth.shtml?main, downloaded 29 August 2003. Return to text. This is the ministry of Dr Hugh Ross, a ‘progressive creationist’ who promotes billions of years, death and suffering before sin, local Flood, etc. Return to text. This and all subsequent quotes by Dr Moreland are from his article in ref. 4. Return to text. In Revelation 20:8 the KJV gives the translation ‘quarters,’ compared to ‘corners’ in 7:1. The NAS, NIV and ESV translate both instances of the same Greek word as ‘corners.’ Return to text. In fact, every commentary we consulted, without exception, was emphatic that it was obvious from the text that the term ‘four corners’ was metaphorical and easily understood on the basis of other parts of Scripture. Return to text. The Old Testament occurrences of the ‘four corners of the earth’ are in the prophetic texts of Isaiah 11:12 and Ezekiel 7:2 (in this latter verse it refers to the corners of the land of Israel, but at this time, the boundaries had more than four corners and no Israelite would have taken this literally). Return to text. Pythagoras (circa 530 BC) reasoned that the earth was a globe, Aristarchus (310–230 BC) estimated the relative size of the earth and moon, and Eratosthenes (275–194 BC) made a more exact calculation of the earth’s radius and circumference. Return to text. See Russell, J.B., Inventing the Flat Earth, Praeger, New York, 1991. Russell is Professor of History, Emeritus, at University of California–Santa Barbara. Return to text. It is presumably the convenient division of a circle (representing all directions, i.e., everything around us) by the vertical and horizontal planes which gives all these figures of speech the number ‘four.’ Return to text. It should be noted that sound exegesis involves more than simply studying Hebrew grammar and syntax, as Dr Moreland knows but here implies otherwise. It also involves studying the local and larger context and comparing Scripture with Scripture, since the Bible is its own best commentary. Return to text. Similarly, Jewish readers would have understood ‘corners of Moab’ in Numbers 24:17 to mean the whole land of Moab. The same can be said about the idiomatic phrase ‘end of the earth,’ which is frequently used in the Old Testament. But there are almost an equal number of verses that speak of the singular end of the earth as those which speak of the plural ends of the earth. We even find examples of both phrases in the same OT book. ‘So how many ends of the earth are there?’ a skeptic might ask. The question is ridiculous. No careful student of the Bible would likewise interpret 1 Samuel 2:8 to mean (or that Hannah thought) that the earth was sitting on pillars, like the roof of a building sits on pillars. In context, the pillars are referring to human leaders—see ‘Pillars of the Earth’—Does the Bible teach a mythological cosmology? But more importantly, the older book of Job (written by Job, living around the time of Abraham, or by Moses) had already stated that the earth is hung on nothing (Job 26:7). Return to text. During the miracle of Joshua’s long day, which presumably involved supernatural interference in the rotation of the earth, the Bible describes exactly what the observers would have seen—the sun and the moon standing still in the sky. Return to text. Copernicus and Galileo believed that the whole universe revolved around the sun, but now heliocentricity only applies to our solar system. Return to text. See Don Batten’s The Answers Book, Weston Fields’ Unformed and Unfilled, and Jonathan Sarfati’s Refuting Compromise,, as well as Hall, D. and Pipa, J., Did God Create in Six Days? Southern Presbyterian Press, Taylors, South Carolina, USA, 1999; and Jordan, J., Creation in Six Days Canon Press, Moscow, Idaho, USA, 1999). Return to text. 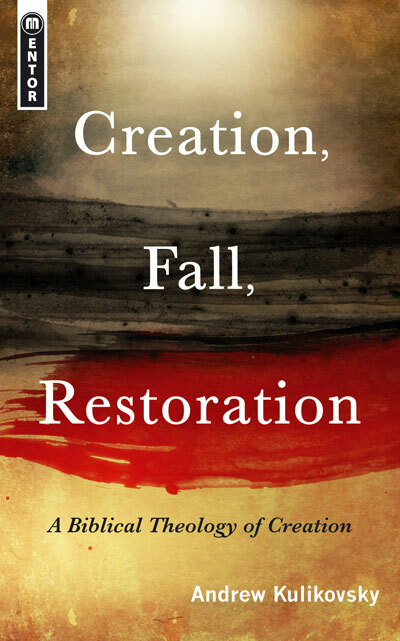 In his book, Holding Fast to Creation, The Covenant Foundation, Oak Ridge, TN, 2001, David Hall documents from a Protestant perspective that the young-earth view was essentially universal in the church for 18 centuries. See also the section on ‘biblical interpretation’ in British scriptural geologists in the first half of the nineteenth century and Terry Mortenson, The Great Turning Point, Master Books, Green Forest, AR, pp. 40–45, 2004. Fr Seraphim Rose, Genesis, Creation and Early Man, St Herman of Alaska Brotherhood, Platina, CA, 2000, documents this historical fact from an Eastern Orthodox perspective. Return to text. Boice, J.M., Genesis: An Expositional Commentary, Vol. 1, Zondervan, Grand Rapids, Michigan, USA, 1982, pp. 57–62. Return to text. Kline, M., Space and time in the Genesis Cosmogony, Perspectives on Science and Christian Faith 48:15 (footnote 47), 1996. Return to text. Grudem, W., Systematic Theology IVPress, Downers Grove, Illinois, USA, 1994, pp. 297–98. Return to text. Barr in a personal letter to David C.C. Watson on 23 April 1984, quoted in Morris, H., That Their Words May be Used Against Them, ICR, San Diego, California, 1997, p. 375. Return to text. Archer, G., A Survey Of Old Testament Introduction, Moody, Chicago, 1985, p. 187. Return to text. Kaiser, W.C., Jr. et al, Hard Sayings of the Bible, IVPress, Downers Grove, Illinois, 1996, p. 104. Return to text. As far as we are aware, Dr Kaiser’s most extended (but still short) discussion of the duration of creation week is in his Toward an Old Testament Theology, Zondervan, Grand Rapids, Michigan, USA, 1978, pp. 72–75. In neither of Dr Kaiser’s writings that we cite does he give any justification for the statement that the sixth day was not long enough for the events mentioned. It is a bald assertion by Dr. Kaiser. In both works, he also makes the absolutely false statement that the day-age interpretation dominated church history since the time of Augustine. See the sources in ref. 17 for the refutation of this notion. Return to text. Archer, G.L., A response to the trustworthiness of Scripture in areas relating to natural science, in Radmacher. E.D. and Robert D. Preus, Eds., Hermeneutics, Inerrancy, and the Bible, Zondervan, Grand Rapids, Michigan, 1994, pp. 326–27. Dr Archer’s argument about the sixth day also appears in his Encyclopedia of Bible Difficulties, Grand Rapids, Michigan, Zondervan, pp. 59–60, 1982. Return to text. Ibid., pp. 327–28. Return to text. God brought the animals to Adam, so he did not have to go out collecting them, as Linnaeus did. Return to text. Archer, op. cit., p. 328. Return to text. Ibid., p. 325. Return to text. Ibid., p. 327. Return to text. Dr Walter Bradley wrote this in a private email to Dr Mortenson on 20 April 2000 (on file). Dr Bradley, also an old-earth day-ager, wrote the paper ‘The Trustworthiness of the Scriptures in Areas Related to Science,’ to which Dr Archer’s above mentioned paper was an affirming response. Both papers were presented at ICBI’s conference on hermeneutics held in Chicago in 1982 and appear in the book in ref. 26. Return to text. Dr Ross is certainly exploiting Dr Moreland’s remarks to the full for the link to his article has been on the home page of Reasons to Believe’s website at least from 29 August 2003 (when we downloaded it) until 26 September 2003 (when we last checked). Return to text. See also godly King David’s mistake in 2 Samuel 11:1–12:23 and godly King Jehoshaphat’s compromises with evil in 2 Chronicles 17:1–37. Return to text. Templeton, C., Farewell to God, McClelland & Stewart, Toronto, 1996, p. 232. Return to text.